In bloom at the beginning of March along the coast at Puerto Peñasco, Sonora, Mexico. 2012. 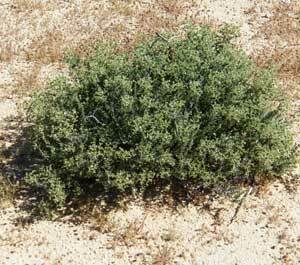 RANGE: This low growing shrub is found on sandy dunes along the Gulf of California in Sonora, Mexico. Coastal San Diego County, California, and on the Baja Peninsula. LEAVES: Small club-shapped leaves are dark green and succulent. 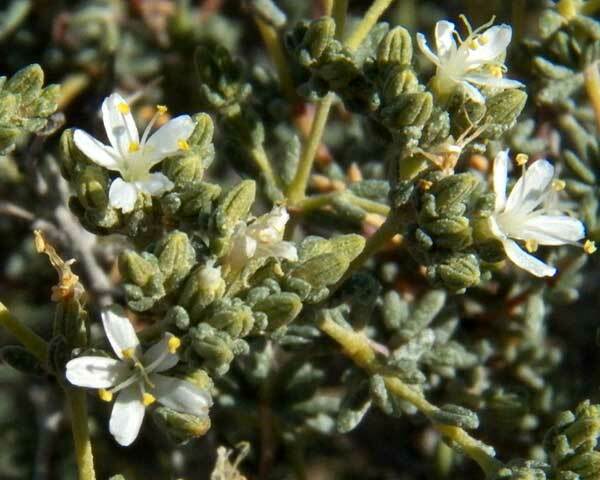 FLOWERS: Five white, sometime with traces of red, petals; In the literature the stamens are said to be pink, but the specimen here clearly has yellow stamens. SEEDS: One seed developes per flower within a dry capsule. SHRUB: Intricately branched shrub mostly less than one meter tall. UNARMED. No thorns or spines.